What if you could earn thousands of dollars per month without going to the office? Would you like to take a week-long holiday without anyone’s permission? Would you prefer postponing a movie on the weekend and then catching it on a weekday without worrying about pay cuts? Would you like to travel the world and still earn sitting on the beach with your family? If your answer to all the above questions is “YES”, then we would like to tell you that – You need to be a freelancer. Freelancer is not a new term, but one in the millions can take it to the original level. The freelancers do not prefer chasing after job and status; they do the job in comfort of their home and still live a lavish lifestyle that anyone would envy. It’s not rocket science, and anyone can do that with proper commitment to their work. There are millions of people doing freelancing work, and the total revenue they generate is staggering in millions of dollars. Anyone can enter into it, but there is no certainty that they will end up earning thousands at the end of the month. 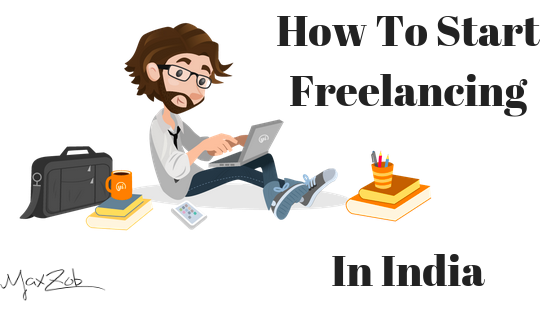 So here is the guide on how to start your freelancing. Choose Your Niche: It is one of the most important aspects of freelancing. As you pose as an expert in your field to get freelance work, you need to know your area very well in advance. Find something that you are passionate about and look for an opportunity in it. It could be anything like painting, writing, designing. A hobby which you had forsaken because of your daily job, can now let you earn money out of it. The expertise would come to you naturally and will not take much time to catch up. As every single trend is changing nowadays, so if you try to learn something new today, it’s possible that when you are done learning, it won’t be in demand as much as before. Hence, it’s advisable to choose the one which is already well known to you. Find your client: Once you decide the path you are going, now you just need to know where it leads. Find out the place and the people who can demand it the most. Get social and learn about them. For example, if you are logo designer, there is a huge market for the logo, and thus this will make you always stay in demand. If you are t-shirt designer, stay updated on t-shirt design Follow them on Instagram or Pinterest. You need to know every nook and corner of it. Portfolio: Before you just jump into the conversation and offer them your service, make sure to create a portfolio. A portfolio is proof of your work and what can you deliver. The client just won’t take you by your word and hire you; they need concrete evidence of your expertise. You can just make a website and put all of your work in it. Many freelancing sites also offer the option of directly adding the portfolio to your profile. Make sure to do your branding on it, like if you’re a photographer, you need to put a watermark all over it. If you are a writer, put that on your website, so even if someone copies it, it will always lead them to your site. Pitch it to the right people: Now that you have completed all the necessary steps to do freelancing, you can find the client and pitch your work to them. You can easily find the requirements on social media or freelancing sites. Make sure they don’t rip you off by just asking the samples. Show them your work and give them the budget for it. Make sure to put the right price tag on your work, if you go much higher, no one will provide you with the job. But make sure to get paid for your hard work. One of the best entrepreneur advice originally given by a psychopath from Batman movie was,” if you are good at something, never do it for free” we thank the joker for a valuable lesson. Repeat the success: Once you have succeeded on the job and get paid, don’t fly too high and hold your horse. It might be beginners luck so repeat the success. Make sure to get an excellent rating of your work. Most freelancing sites offer a rating system. If you have done an excellent job, it will be reflected in your score. Most clients look for the rating, as they won’t trust you at first sight. There is a site which can list you as a service provider and let your clients give rating there if you work for them outside that freelancing site too. You need to keep looking for the new clients, and now as you have completed a work with a five-star rating, you don’t need to negotiate for the price. Full time or part time: So you have earned some ratings and little extra money from doing something you love in free time. But do you want to keep doing it at full time? If you are just a newbie in this field, just don’t quit your day job yet. Its risky business and one cannot afford to gamble and loss the only source of their income. You cannot jeopardize your career for a quick freelance success. Build your network and your brand. Can your freelancing niche pay enough to you so that you can survive with your lifestyle? If you still doubt that, keep working as part-time. Only quit the job when you’re certain about getting new project every month and start earning a reasonable amount of money. Now you are ready to sail into the freelancing sea. You have learned to find your niche and making a portfolio, also you know where to find the client and how to get the work for them. Here are few tips which can help you establish your work and get you more earning. Always complete your work by given deadline, it will rank up your reputation and client can put a faith in you for any work. Join more freelancing site, like Freelancer, Upwork, Trulancer. Make a portfolio on every site and keep looking for work. You can build up your reputation which leads you to gain more income. Share your success on social media to attract more potential clients. Enhance your network and keep sharing your good work with the connections.